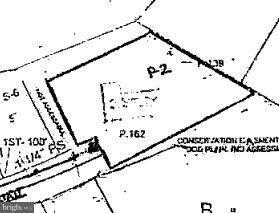 Tucked away on River Airport Road just a short walk from the river is a compound that can satisfy any buyers needs. Main 3 bedroom home, 2 bedroom apartment and 1 bedroom studio plus RV garage parking area with power and extra storage. Custom built home with wrap around screened in porch to take in the quiet countryside life and gather all your friends for a cookout or party. Hand crafted kitchen cabinets, beautiful gleaming granite counter tops, stainless steel appliances, sparkling new bathrooms, new metal roofs, semi-circular over-sized living room and beautiful views from the walls of windows. A separate 2 bedroom apartment for your guests. The property includes a large center aisle barn with a 50 X 80 covered riding ring. There is an other 1 bedroom studio apartment attached to the barn. Wood fencing surrounds the property and is divided into several paddocks with run-in sheds that have water and electric too. Park your precious RV or Boat in the extra tall garage with 50 amp power. You will never need to leave but if you do, the winery is next door, new shopping centers just 5 miles away. Quiet when you want it and convenience when you need it. Plus, full pre-paid solar power. Rinnai instant hot water. Energy efficient home that saves money and uses a smaller carbon footprint. The best of all worlds is here in Brandywine. Stunning expansion upgrades in this 5000+ sq. ft. home featuring an open kitchen w/ Wolf 6 burner cooktop, extended granite breakfast bar, morning room family room that overlooks a saltwater pool fenced backyard, private deck off of the master bedroom, hardwood floors on the main level, flex space on main lower levels.True in-law suite w/2nd kitchen in the lower level. Large workshop areas. Garage space for 2 cars, plus a separate 1 car garage for storage. 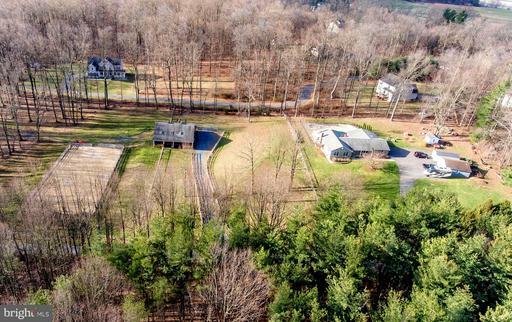 Center aisle barn with tack room feed room, water, electric, Dutch doors, grooming areas, custom run single paddocks, field paddocks dressage size sand arena. Great for hobbyists/car animal lovers oasis. Close to historic downtown Sykesville with shops quaint restaurants. Near River Road park entrance to the Patapsco Park system. Great location, great schools! New Price! 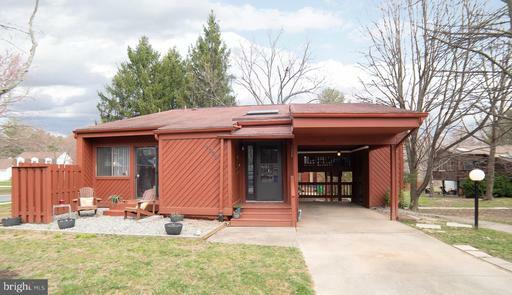 Well maintained 4 level home on just over 18 acres near the charming historic town of Keymar. 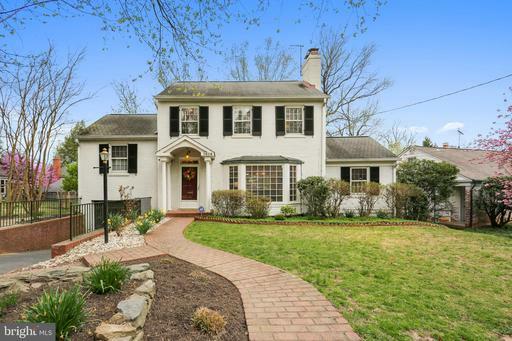 This classic home offers large rooms, hardwood floors, 3 full baths plus a half bath, 2 stone fireplaces, big eat-in kitchen, covered porch, decks, plenty of parking and an over-sized 2 car garage. 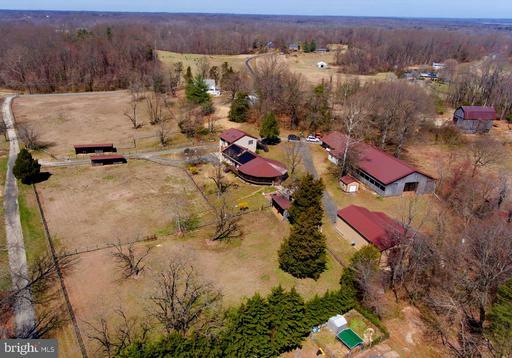 The grounds offer almost level acreage and is improved w/ indoor riding ring 50 X 100 with blue stone C33 footing, separate 10 stall center aisle barn, multiple paddocks, 80 X 170 outdoor arena with blue stone C33 footing, machine shed, a separate smaller barn with 6 more stalls and hay storage. Picturesque western views of the Catoctin mountains covered porch on the east for beautiful sunrises. 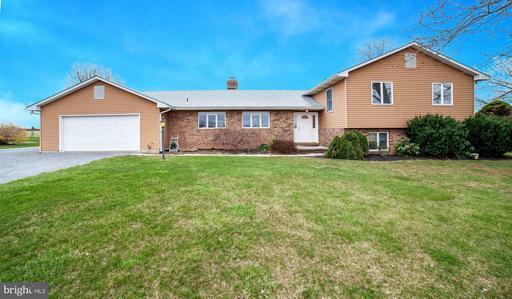 Located just minutes from Taneytown proper or a quick drive to Frederick. 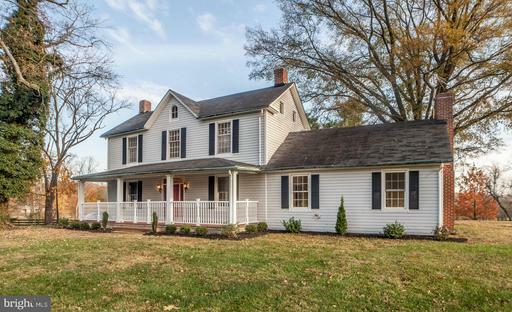 A gated, tree lined driveway leads to this charming 9.5 acre farm w/ front porch, HW floors, built-in book cases, large country kitchen w/ island, farmhouse sink, Dutch door out to the brick covered patio, NEW HVAC system, new carpet, fresh paint, NEW Water Heater, NEW Well tank, updated electrical, plumbing, replacement windows, a whole house generator. 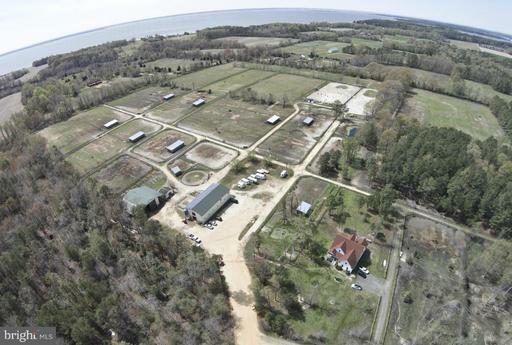 Large center aisle barn, outdoor riding ring, indoor covered arena multiple paddocks. 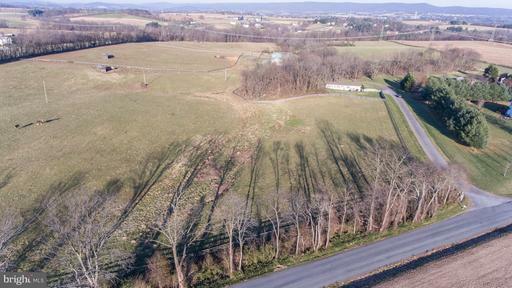 Private setting in western Howard County near Larriland Farm. This a short sale. Upper Fells Point! Be in before interest rates get any higher! 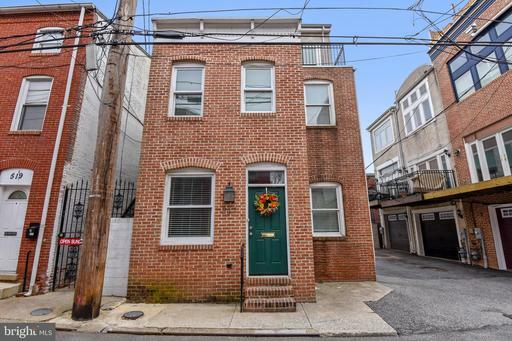 DETACHED brick front home w/ 2 CAR GARAGE steps from Fells Point historic waterfront. Over 2600 sq. ft. of light, bright space w/ open family room/dining room w/ wood floors, Anderson windows, 10 foot ceilings, rough in gas fireplace in the living room, large deck off the living room, fully enclosed patio roof deck. A cooks kitchen w/ Scavolini cabinets, granite counter tops, SS appliances, gourmet gas stove, greenhouse window eat-in nook. All bedrooms have private full baths and large closets. Plus a dedicated 1st floor Den/Office. This home comes with a whole house Choice Home Warranty and is pre-paid through Feb. 2021. Single family home in Atholton HS district for a townhouse price. Four levels of 1870 sq. ft. of finished space backing to Tamarind Association woods offers bright and open rooms, master bedroom with dual walk-in closets, skylight in the entrance foyer, wood floors, 3 full baths, fireplace in the family room, 3 season screened in porch, covered parking, deck, and 2 storage sheds. Just a walk away from the community amenities and quiet foot paths. HOA covers lawn maintenance and snow removal too. CPRA is separate and includes pools fee, playgrounds, paths, gyms and so much more. 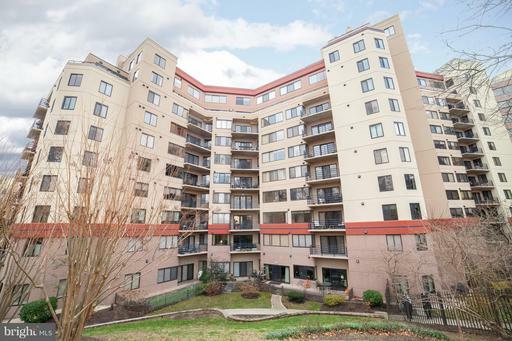 The Columbia mall, HCC, Howard Hospital, Merriweather Post, Routes 29 and 32 are all near by making this a convenient and carefree place to live.